Giorgio Armani's original men's fragrance. There are 106 reviews of Armani Eau pour Homme. My very first exposure to Armani years ago. Still use this scent for work. Loved the clean scent as you first spray it till the base notes kick in. Only issue is I don’t get the longevity from this one maybe due to my skin not having the ability to hold. For me I use it if I am going to meet a client or a formal dinner that does not last long. It can pull off as a confident, professional business man in a suit closing deals. Giorgio Armani was just finding his stride as fashion mogul by the early 1980's, having done his time as a designer for Nino Cerruti in the 1960's before launching his eponymous house in 1975. From this launch, came a diverse line by the 1980's, consisting of Emporio Armani (higher-end trend-conscious fashion and fragrance), Giorgio Armani (more conventional Italian fashion and fragrance), Armani Collezioni (more value-conscious clothing-only brand), and Armani Privé (haute couture and eventually parfumerie). Armani by Giorgio Armani (1982) kicked off the perfume venture, and was followed by this two years later as a men's companion scent. 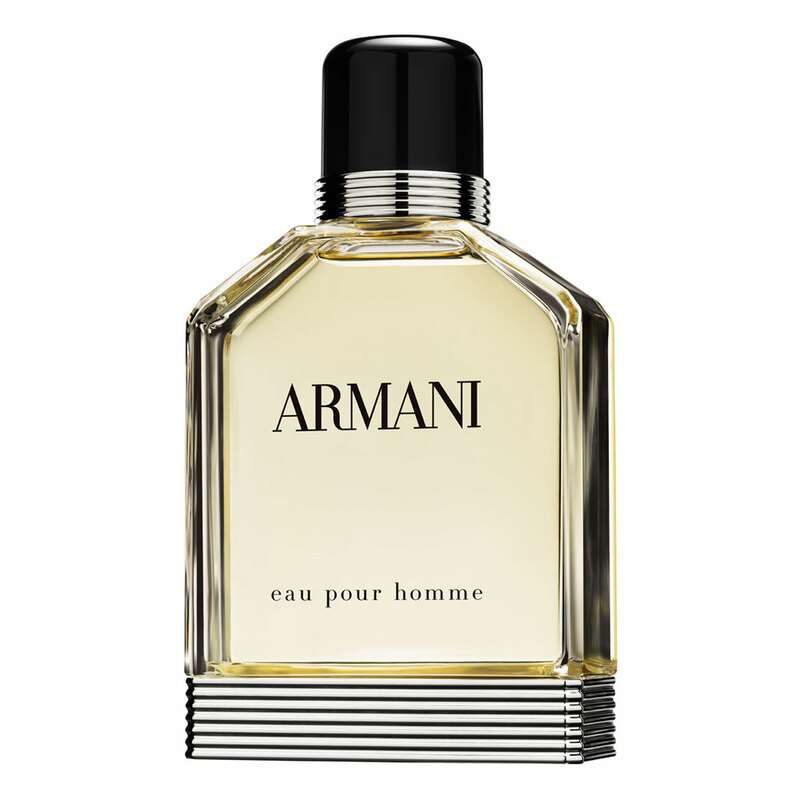 Armani Eau Pour Homme (1984) was composed by Roger Pellegrino, a fellow who also created the seminal One Man Show by Jacques Bogart (1980), but went against the 80's grain of loud juice with this creation. Armani Eau Pour Homme recalls a great number of French and Italian citrus chypres from the 50's through 70's, and just like those, is a soft-spoken aromatic experience meant to exude a quiet aura of class and maturity. Those versed in classic chypres will identify Armani Eau Pour Homme as nearly academic in composition, much like Capucci Pour Homme by Roberto Capucci (1967), but coming across lighter, rounder, and less tart. Roger Pellegrino was not without his tricks, and a bit of French influence creeps into the heart and base of Armani Eau Pour Homme, correlating it to classics like Dior Eau Sauvage (1966) or Monsieur de Givenchy (1959) every bit as much as the debut Capucci masculine. Smelling vintage Armani Eau Pour Homme also lends insight into why Armani would desire Acqua di Giò pour Homme (1996) to be so citrus-charged (and distinctly not blue) for an aquatic, showing some continuity. Citrus chypres themselves were an "evergreen" genre into the 80's much like fougères continue to be, and likely the choice of older men who refused to reek of animal gland like the young cats sporting Yves Saint Laurent Kouros (1981) at the time, but somehow this Armani example has remained popular enough beyond the final curtain-call for genre in the early 90's as to actually spawn flankers 30 years after launch, which is puzzling. What is perhaps more puzzling, is why this particular example of chypre has remained while other superior ones in the field have gone the way of the dinosaur, but perhaps that has more to do with the strength of the Armani name as a brand over many of its competitors. In any case, Armani Eau Pour Homme opens like one versed in men's citrus chypres might expect, with a salvo of bergamot and lemon, but Armani adds a twist of petitgrain as a callback to the French style, recalling the opening of Chanel Pour Monsieur (1955) ever-so-slightly. This is a similar trick that the debut Versace masculine Versace L'Homme (1984) would also perform, but Armani Eau Pour Homme doesn't go in the same powdery "gentleman's night out" direction that the Versace scent takes, keeping it from being a link to later powdery oakmoss semi-oriental chypres like Guerlain Héritage (1992). The heart sneaks in a bit of jasmine hedione with the expectant lavender, and a slightly-nutty arrangement of spices also kick in, with cinnamon, nutmeg, coriander and clove blending so seamlessly, that only the clove really sticks its head out. I also get hints of rosemary, neroli, and sage connecting the top to the heart and smoothing everything out until the chypre base appears. Dry cedar and grassy vetiver accompany the telltale oakmoss bite of Armani Eau Pour Homme's finish, while sandalwood and patchouli act in the base much like the herbs and neroli do in the heart, smoothing out the rough edges. The final effect of the dry down is one that glows to a lesser extent as Eau Sauvage, but with herbs, oakmoss, and aromatic spice doing all the talking in place of any proper florals once the citrus and lavender burn off in the first few hours. The style Armani Eau Pour Homme represents might be downright antediluvian to guys who didn't come of age until after the year 2000, but that hasn't stopped this stuff from persisting as mentioned above, and I find it perfectly pleasant if not a bit formal. Suggested use is office or casual spring and summer outdoors, since something this bright and mild-mannered would take a beating and go invisible in the cold air, with wear time is adequate for an eau de toilette at about 7 hours max. Armani Eau Pour Homme alongside Versace L'Homme, Aramis Tuscany Per Uomo (1984) and the previous year's Yves Saint Laurent Pour Homme Haute Concentration (1983), would be a vanguard for a final generation of designer citrus chypres for men, being followed by Penhaligon's Douro Eau de Portugal/Lords (1985), Gianfranco Ferré for Man (1986), and R de Capucci by Roberto Capucci (1986) until the genre was subverted with semi-oriental tones before disappearing altogether into the 90's. Fans of the aforementioned should approach Armani Eau Pour Homme positively, but with curbed enthusiasm because this stuff is the antithesis of a powerhouse. There's not a lot more that can be said about such a controlled exercise in chypre craft, outside the fact that it avoids being a total oakmoss bomb due to it's "eau" lightness in the sillage department. On that note, if you actually want your bottle to contain oakmoss, you need to look for the old design with the black surround on the bottom, as the newer silver-clad stuff is a reformulation without the oakmoss and reduced clove to meet IFRA regulation, plus is also missing the sandalwood because perfumers over-harvested all the Mysore trees and nobody can afford it in their perfumes anymore outside niche houses. Modern Armani Eau Pour Homme feels more like a chypre/fougère hybrid because the hedione shines brighter in absence of the oakmoss bite and complexity afforded by the spice or sandalwood, coming closer to an eau de cologne to boot. Modern production is still a mature scent, but without its key ingredients to balance it out, becomes very nondescript, which the original was already in danger of becoming by virtue of its formulaic design. I'm not usually one to say go chase down vintage and pay what is likely an unfair price, but if you want to play with this Armani in current form, you may actually miss the point since removing base notes from an already-light scent makes it almost die of atrophy. Thumbs up for a solid if staid first effort from Giorgio Armani, and worth a sniff for anyone who loves their other men's fresh scents. Ah yes, the original Armani Eau Pour Homme. This was a very popular scent sold in the fragrance department at any major department store. I found myself sampling it in my early teen years and feeling it was much too formal of a scent for me at that time. The sharp citrus/verbena + spice evoked the image of a well-dressed professional in a suit. Maybe even an Armani suit. The vintage version (Cosmair) is fairly heavy with oakmoss and there is more depth to it than the current/reformulated Armani Eau Pour Homme. The citrus burns off quickly and it performs much like a traditional eau de cologne. The dry-down is pleasant enough but quite subtle. It has an accord that is similar to that found in fine French soaps. A touch of musk or sandalwood? The complexities are entirely absent in the reformulation. I get a ton of citrus and a hint of the original Armani Eau Pour Homme in the modern version. It is much, much weaker than the older formula and much more synthetic, of course. At least the vintage didn't smell so synthetic, generic and hollow. I wouldn't bother with the current formula at all - it is truly that bad and a definite Thumbs Down. Armani Eau Pour Homme is not an incredibly complex fragrance and that might just be the point behind it. 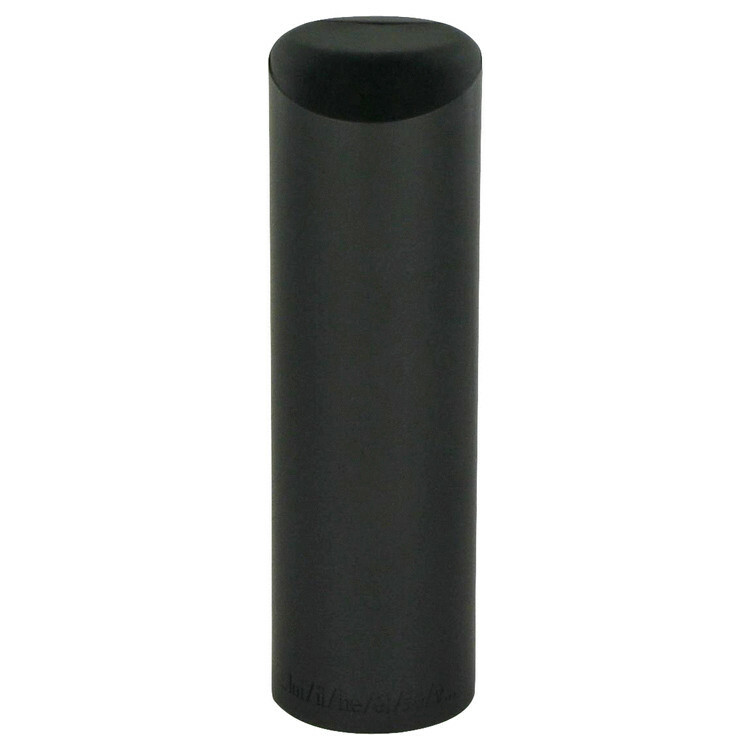 There is very little projection and it is incredibly safe as an office scent. And it truly is like no other Armani fragrance on the market, which might be a good thing depending on the way you look at it! Seek out the vintage (in the black and gold cap) because the Armani Eau Pour Homme they are currently selling in stores is so much less satisfying. I've seen Armani Eau pour Homme for many years now, sitting politely next to other Armani classics (Acqua di Gio, Emporio Armani Night He, Armani Black Code) and overlooked by me. I falsely had assumed Armani Eau to be a typical 1980's loud fougere that I could hold off from testing. So I recently checked out this sleeper scent, which I understand to have been slightly redone from a decade or so back when it first caught my eye on local department store tester counters. My impression is of a fruity aromatic scent with a nice touch of clove to make things interesting. It's far from the beast mode cologne that I had assumed it to be; matter of fact, it's fairly light and simple. Comparisons to Dior's Eau Sauvage are pretty spot on. Both are pleasant to wear, having a slight classic vibe that is still wearable today. And I can see how the myriad of flankers came to be atop this as a foundation (i.e. Armani Eau d'Aromes, Eau de Cedre, Eau de Nuit, and Eau de Nuit Oud), all of which have elements of the original's aromatic citrus spice character in them, plus each one's distinct additions. Armani Eau pour Homme is decent, not revolutionary but pleasant enough to try out if hesperidic (citrus aromatic) scents are of interest to you. The fragrance should appeal to fans of Dior's Eau Sauvage (1966). However, Armani's offering seems to have a touch more testosterone added to the formula perhaps reflecting the powerhouse olfactory zeitgeist of the 80's as perhaps best represented by YSL's Kouros (1981) or Chanel's Antaeus (1981). Here we have a much fresher mediterranean twist on masculinity whose sparkling opening conjures up images of lemon groves and blue Italian skies. The aromatic spices and lavender mean that the wearer may feel he has just emerged form the barbershop but the quality and refinement of this scent assure us that this is no mere drugstore cologne. The base of classic woods is at once familiar and yet unique here in the way it mingles with the other notes. There are hints of warm spices and even of the juicy citrus fruits in this scent at every stage of its skin life. My old formula bottle lasts well and is moderate in projection. Not a beast by any means but entirely adequate and appropriate for a fragrance of this kind. If you are looking for a signature scent that has timeless elegance and will work as well with a crisp white shirt and tie or a polo shirt then include this on your shortlist. There's a slight retro feel for sure but not enough to feel dated in the way that many 80's masculines can. I have sampled the modern version many times in shops and it smells very close to me. I would not hesitate to buy it if my old version runs out. with barbershop tendencies. Alternatives include the above mentioned Eau Sauvage, YSL's Pour Homme (1971) and Acqua di Parma's Colonia (1916) or Colonia Assoluta (2003). Next time you see this sitting ignored next to Acqua di Gio in various versions or the Code range from Armani spare a moment to sniff what may just be the classiest fragrance in the Armani line up. I do not compare this frag to Chanel pour monsieur, Monsieur de Givenchy or Aqua di Parma, which are more lemony in my opinion. In my rotation, Armani competes directly with Dior Eau Sauvage. Armani fells as a softer version of Eau Sauvage or as some people say a "watered down" version. Could be true, however, the fact it is more subtle makes it for me a perfect cologne, when I dress up or when I am around a lot of people up close - office, funeral, any gatherings when I want to smell nice without wanting to be a center of attention. I like Eau Sauvage a lot but when wearing it, people say: oh I smell a cologne, it is nice. With Armani they say: oh you smell nice, what is it, a cologne? When I want to smell subtle, it is a big difference. Interesting thing is that while Armani is weaker than Eau Sauvage in the first hour, it lasts several hours longer. I am a big fan of classic colognes, I own many others in addition to those mentioned above such as Guerlains Vetiver and Heritage, Azzaro pour homme, Caron pour un homme, Givenchy Gentleman, Blenheim Bouquet, Terre dHermes, and many others. Armani eau pour homme is one of my favorites. If you like classic subtle masculine scents, I recommend you give it a try.